Tourism establishments throughout France to discover via our portal site camping, tourism, leisure and holiday accommodation and of course our campsites or PRL with pool to make rent. Spend your holidays in institutions with mobil home, chalet, cottage, bungalow camping. Our campsites below offer the best camping location. Sometimes enjoy camping in any season with campsites offering rentals all year round! 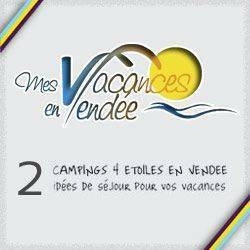 From the campsite rental mobile homes, chalets, bungalows, cottages, Bengali, caravans, trailers, tipis, yurts, cabins or camping sites equipped for your vacation rental, our campgrounds welcome you in France, a favorite camping Europe. Discover 274 tourism of France with but also over 450 campsites throughout France, offering a variety of rental mobile homes, chalets and accommodation of more atypical as bungalows or caravans, but also leisure facilities such as aquatic areas with sometimes an indoor or well even with heated pool for your comfort, for an unforgettable vacation.